Forget all you know about gin because the favourite spirit among us Brits has just been given a super-sweet make-over just in time for Fri-yay and we're 100 per cent here for it. Prepare to swap your humble G&T for a combination Willy Wonka would approve of this weekend. 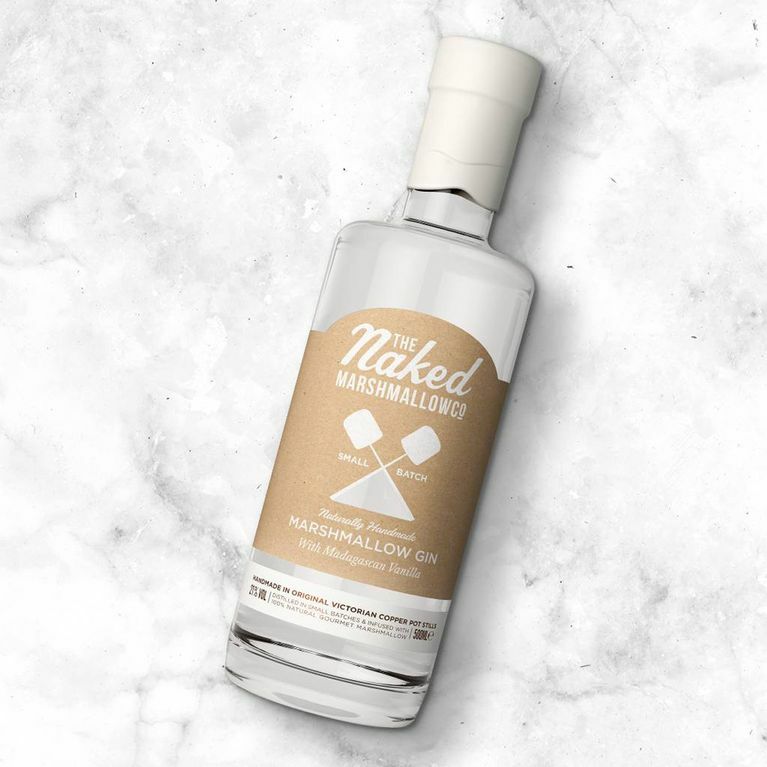 Summer may have been and gone faster than you can say 'I need a drink' but the Naked Marshmallow Company are here to keep the spirit of the season alive by merging two of life's greatest pleasures - booze and sugar. If you think you've drank your way through all possible varieties of gin, we have a new challenge for you and a possible contender for your new go-to drink. Enter: marshmallow gin. The Naked Marshmallow Company has just improved Brits' favourite boozy beverage ten-fold by infusing it with the taste of vanilla bean - at the request of keen drinkers for sweet revamps of popular alcoholic drinks. The real-life answer to Willy Wonka is best known for its homemade marshmallows and it's worked with expert distillers in England to realise these flavours in gin form. The makers recommend serving it on the rocks, straight from the freezer, and ideally, with a box of marshmallows because you can never have enough E numbers, right?